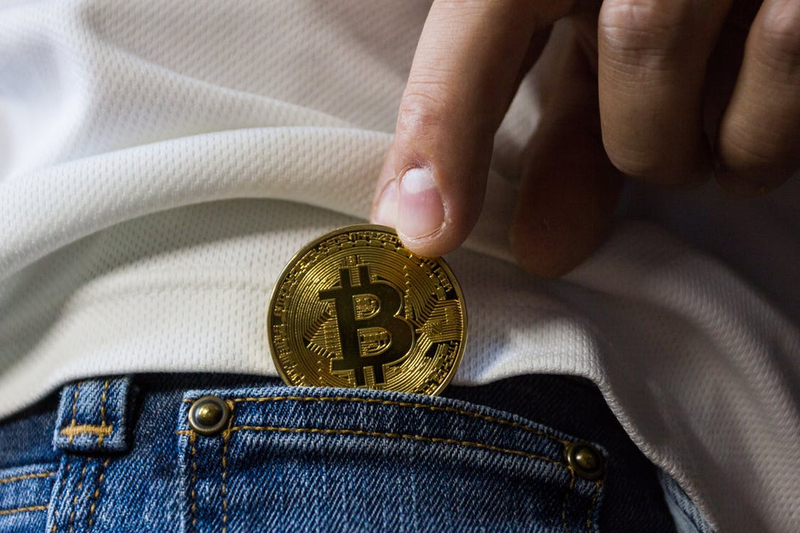 If you are reading this, then it’s likely that you already own some Bitcoin — or are looking to purchase some — and want to learn about these things called “wallets” because, like the smart person you are, you’d like to protect your investment. You’ve come to the right place! If you’re totally new to Bitcoin, however, I suggest you start here instead; otherwise, strap in for a ride, because we’re going to have to get a little more technical this time! As usual, I will do my best to keep the buzzwords, complications, and tedium out of it; once you read this easy-to-understand article, you should be able to properly protect your Bitcoin investment. This is a real world example — it is, in fact, my Bitcoin donation address, so don’t send coins here unless you really like me. These addresses are one of the most important things about Bitcoin. When you use a wallet to receive coins, you’ll do so by generating one or more addresses. When you want to send coins to someone else, you’ll be sending it to one of these addresses. Think of it like an email address, except for Bitcoin. When you’re sending coins from one address to another, what you’re doing is telling the Bitcoin network that you’re authorizing the transfer. To do this, you use something called a “private key” — a sort of password which is generated by your wallet. The only thing that really matters, when it comes down to it, is your private keys. Each address has its own private key; this means that a wallet is simply a piece of software that makes it much simpler to interact with addresses and private keys. Thus, your wallet will allow you to send and receive bitcoin. Can’t I just keep my bitcoins in Coinbase? Yes, you could! Coinbase does indeed offer a type of wallet — something known as a “online” wallet. However, if you keep your coins on Coinbase or any other exchange you are giving that exchange the ability to control your coins. Even if you trust Coinbase — and admittedly, they are fairly trustworthy — you should not trust them so much that you assume they can never make a mistake. PayPal is fairly trustworthy too, and they’ve still done some nasty things in the past — remember, with Bitcoin, “you are your own bank” — or at least, you have the ability to be your own bank if you want to. If you keep your coins on Coinbase, you’re no longer your own bank. My suggestion: don’t be so quick to give up this new ability for the sake of convenience. It’s one of the greatest things about Bitcoin, and it should not be disregarded so quickly. This isn’t even a comprehensive list, either — my preferred wallet (Coinomi) isn’t even on there! Why are there so many wallets even though the thing they’re designed to do — safely send and receive bitcoins — is a fairly simple process? Simply put, it’s the features of the wallets that matter. Armory, for example, is arguably the best wallet you could possibly have if you want to be able to have a “cold storage” offline wallet — something that’s a little outside the scope of this guide. Bitcoin Core is a very old school wallet which some would suggest provides more security for your transactions by acting as a something called a “full node.” This just means that it downloads the entire blockchain (many gigabytes!) and verifies transactions itself. Sound complicated? Don’t worry — unless you’re interested in the underlying technicalities of Bitcoin, it’s not all that important. Trezor and the Ledger Nano S are “hardware wallets” — actual physical devices with enhanced security features. If you’re looking for maximum security and don’t mind paying a premium for it, I generally recommend the Ledger Nano S.
Coinomi: The Best Bitcoin Wallet? Coinomi is what’s known as a multi-wallet and exists as an app on both Android and iOS devices. As you may or may not know, Bitcoin is not the only cryptocurrency — there are many others with many different uses. You can trade for these coins on an exchange such as Binance, but just like Bitcoin, you’ll first want to know how to safely hold them in a wallet. However, a “Bitcoin wallet” is not going to support other types of cryptocurrency, such as Ethereum or Litecoin. Instead, you’ll need a specific wallet for these kinds of things. Enter Coinomi, a very simple to use wallet software which actually contains many different types of wallets inside of it. All of them work in basically the same fashion and if you’re only interested in Bitcoin, it’s quite easy to simply ignore the other features. Ease of use is a priority. 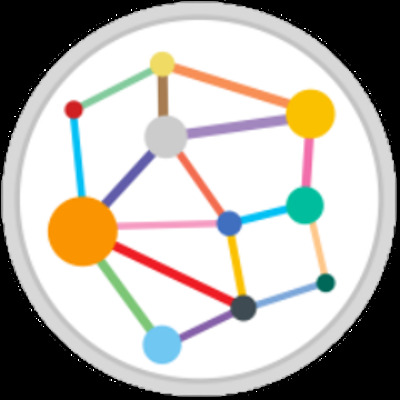 Even for the rankest of Bitcoin neophytes, Coinomi is very easy to use. As long as you understand what a Bitcoin address is, you can download Coinomi and be sending or receiving bitcoins in seconds. Really! It provides extra security while remaining cheap. Now, as far as I know, there’s no such thing as a software Bitcoin wallet that isn’t free. However, with Coinomi you can get some of the benefits of a true hardware wallet — something that would generally cost you a hundred dollars or more — for the price of an inexpensive android phone. By “security benefits,” I mean that you can buy a phone specifically for use with Coinomi and only put the battery in when you are sending or receiving your coins. This is huge for security because it means that you aren’t risking exposing your device to viruses, malware, et cetera during the course of your everyday internet browsing. Of course, you could also just use it on your existing Android or iPhone and still have great (but perhaps not “ideal”) security. It has a great track record. Coinomi is often described as a “security-first” wallet. It has been said that, since Coinomi’s first version was released in 2014, “no [Coinomi] wallet has been hacked or otherwise compromised.” A bold claim, for sure —and one that seems to be true. That’s a lot more than many wallets can say! Recovering your wallet has never been simpler. Being able to “recover” a wallet is a hugely important feature which, shockingly, many wallets get wrong. Imagine if you lose or break the device that your wallet is stored on — how terrifying would it be to think that you could lose all your stored cryptocurrency in an accident? Have no fear — Coinomi provides what’s known as a “seed phrase,” or a series of words that you can write down somewhere. As long as you have these words, you can restore your entire Coinomi wallet. Just make sure nobody else sees them, or they’ll have access to your funds! It’s integrated with cryptocurrency exchange services. This is a feature that I don’t generally use or recommend, as I’m partial to Coinbase, Binance, and Bitstamp when it comes to my exchanging needs. However, I would be remiss if I did not mention that Coinomi is integrated with Changelly and Shapeshift — two services which will allow you to trade your bitcoins and altcoins to your heart’s delight! I could go on, but I think you get the message. As far as cons go, the only thing I can think of is that Coinomi is not “open source.” This means that the code is not open to the public to review and presents itself as a security concern to many experts — after all, you are basically trusting Coinomi that their app is secure. However, given their impeccable track record so far, I do not personally consider this to be much of an issue. Indeed, making your application open source is no guarantee against hacks and exploits! This guide assumes you already have some bitcoin which you’ve bought on an exchange like Coinbase. If you don’t, I suggest you take a look at my beginner’s guide to Bitcoin and make a purchase before moving on. Otherwise, we’ll start by downloading Coinomi. Since I’m more of an Android guy, all of my examples will be from the Android app; I assume that iOS app is similar if not identical. This is the symbol you should see after downloading the app and opening it up. Be very careful when you first download the Coinomi application! Cryptocurrency apps are, unfortunately, sometimes targeted by malicious actors who put up fake versions of them. It’s safest if you follow one of the links on the official Coinomi website instead of “Googling” for the app. On this first page, you’ll have two options — “create a new wallet,” or “restore a wallet.” Restoring, as I mentioned before, is as simple as giving the app your seed phrase — however, right now we’re making a new wallet, so tap that button. The next page will show several words and ask you to write them down. For all intents and purposes, these words — and the order that they’re in — are your wallet. Thus, you must keep them safe and secret. Don’t type them on a computer or a phone to store them — write them down and keep them in a safe place. This is what helps to ensure your safety if you lose your phone or experience a technical problem! Once you go to the next screen, you’ll be prompted to verify your seed phrase. I suggest you don’t skip this — you don’t want to take any chances. Next, you’ll type a password; because of this password, even if someone gets their hands on your phone, they will not be able to send or receive transactions using your wallet. You can skip setting a password, but this is highly inadvisable. Instead, use a good, strong password! Next, you’ll select the coins you’d like to have wallets for. Don’t worry — you can add these later if need be. For now, we’ll just press “Bitcoin” and then “FINISH.” Congratulations — once you tap past the disclaimer, you are ready to send and receive Bitcoin! But, how do you do it? Again, my Bitcoin donation address. Don’t send coins here unless you like me! You’ve probably seen these around. 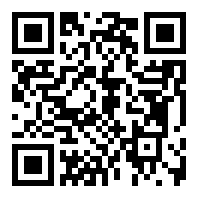 A QR code is just an image that certain apps can easily turn into text, such as a website’s URL or — in this case — a bitcoin address. Usually when you are purchasing something online with Bitcoin, you can receive a QR code instead of an address in order to simplify the process. Receiving is just as easy. You’ll see your address listed right at the top of the screen when you tap “receive.” You’ll also see “default”, “compatibility,” and “legacy” as options — for now I suggest you just tap “compatibility.” A full explanation of what’s going on here is available from Coinomi here — but be warned, it is a bit technical. From here, all you have to do is tap the address to put it into your copy buffer. If you’re trying to get your coins off Coinbase or another exchange, this is the address you’d be sending your bitcoins to. Coinomi also conveniently provides a QR code on this screen that you can show to others if you are receiving coins in person. Bear in mind that every time you transact, a new address will be created. This is for both privacy and security reasons. However, all your old receiving addresses will still work, and once you have more than one address you can just tap “PREVIOUS ADDRESSES” to see the old ones. Congratulations — you can now send and receive bitcoins using Coinomi! Coinomi is a great wallet, but it’s not the only wallet. I’d like to stress that you should definitely look into others — and in the future, it’s likely that I’ll do specific reviews for them. If you’re new to cryptocurrencies, don’t worry — it’s easy to get in on this; just take a quick look at my Bitcoin introduction article. If you’re looking to move further into the world of cryptocurrencies, you might instead check out one of my articles about specific altcoins!